Clean government groups in Honduras responded to the news with dismay. 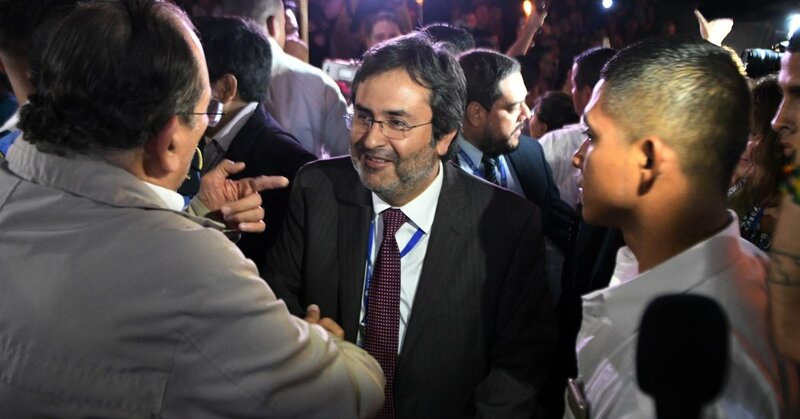 “This is the beginning of a political offensive against the fundamental pillars that are against corruption in Honduras,” said Gabriela Castellanos, the director of the National Anti-Corruption Council, a private group. It was an odd complaint to direct at Mr. Hernández, who agreed to the establishment of the panel under pressure after large street protests against corruption in 2015. The president’s allies have worked to sabotage much of the panel’s efforts, freezing proposed legislation to protect witnesses and stalling the enforcement of new campaign finance laws. But the most direct affront came last month, after the attorney general’s new corruption unit, working with the panel, charged five legislators with pocketing money intended for social projects in their constituencies. In response, the Honduran Congress passed a budget decree that froze all investigations into the money for those social projects, and a judge threw out the case against the lawmakers. Furious, Mr. Jiménez said then that the investigation had spread to about 60 current and former lawmakers, including the powerful president of the Congress, Mauricio Oliva Herrera, a close ally of the president. The investigation also appeared to be widening beyond Congress. Last month, investigators from the panel and the attorney general’s office raided a foundation that is one of many that channel the Honduran government’s social spending with little oversight. The president’s mother-in-law, Carlota Carías, was a former executive director of the foundation. The panel, whose full name is the Mission of Support Against Corruption and Impunity in Honduras, also made enemies among business leaders when it began an investigation last year into a concession for a dam opposed by members of the Lenca Indian community. Berta Cáceres, an indigenous rights activist and an environmentalist who led the opposition, was assassinated two years ago in a case that has become emblematic of the violence in Honduras against human rights defenders, political activists, journalists and environmentalists. Adenovirus killed a college student. There’s a vaccine, but she couldn’t get it. December 29, 2018 Comments Off on Adenovirus killed a college student. There’s a vaccine, but she couldn’t get it.